US president Donald Trump has confirmed he will not travel to the UK to open the new American embassy next month, blaming the decision to relocate the building to an “off location”. Hitting out at former US leader Barack Obama, Mr Trump wrote on Twitter early on Friday that he thought the embassy’s move from Grosvenor Square in the prestigious Mayfair district of central London to Nine Elms, south of the Thames, in a 1.2 billion dollar (£886 million) project was a “bad deal”. He wrote: “Reason I cancelled my trip to London is that I am not a big fan of the Obama Administration having sold perhaps the best located and finest embassy in London for ‘peanuts’, only to build a new one in an off location for 1.2 billion dollars. Bad deal. Wanted me to cut ribbon-NO!” Prime Minister Theresa May was the first world leader to visit Mr Trump in the White House and the US president accepted at the time an invitation for a state visit. But that idea was fairly swiftly pushed into the long grass, given the scale of expected protests and opposition within the UK. A petition against a state visit gained more than a million signatures last year. Mr Trump was then reported to be considering a “working visit”, with some publications reporting that a date had been set for the end of February. 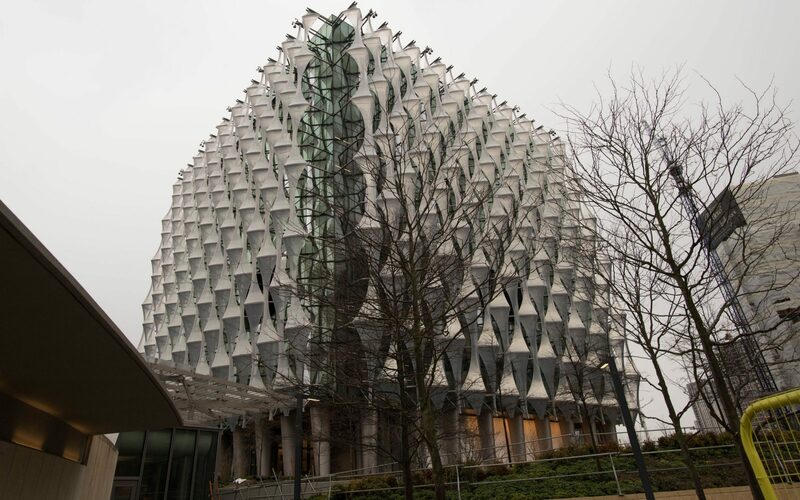 The visit was due to coincide with the opening of the new US embassy. Writing on Twitter at 4.57am on Friday, Mr Trump said he thought the embassy’s move from Grosvenor Square was a “bad deal”. Mr Trump had also been scheduled to hold talks with Mrs May in No 10, with February 26 and 27 marked in the diary. Downing Street had hoped to confirm the dates this week. The president was not due to meet the Queen until a full state visit at a later date. But now Mr Trump has decided to postpone even the scaled-down February visit. Rex Tillerson, the secretary of state, will instead represent the US at the embassy opening. 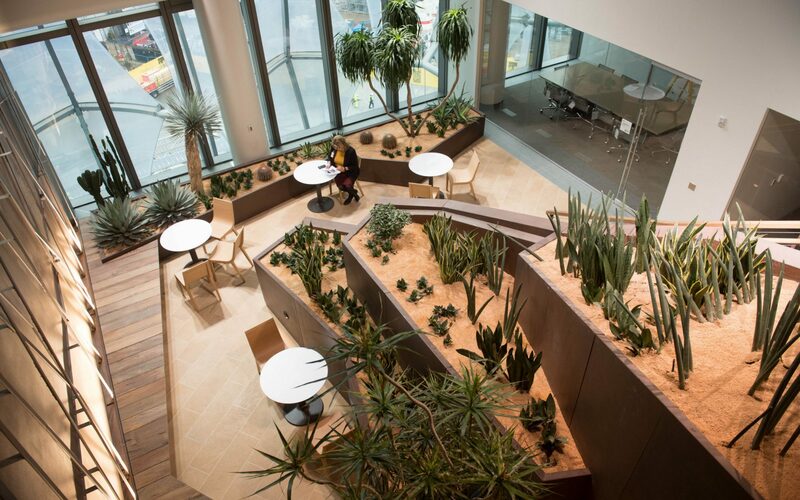 In December, US Ambassador Woody Johnson said he was looking forward to welcoming the president when he visited, adding: “I think he will be very impressed with this building and the people who occupy it.” He said the new embassy was a “signal to the world that this special relationship that we have is stronger and is going to grow and get better”. Mr Trump’s decision not to head across the Atlantic comes despite Mrs May saying that a future visit was still on the cards last week. A Downing Street spokesman said: “Our position is that an offer for a state visit has been extended and accepted.” Sources claimed that the lack of “bells and whistles” and royal involvement in next month’s planned visit might have discouraged Mr Trump. Mrs May controversially extended the offer of a state visit – officially on behalf of the Queen – when she became the first world leader to meet Mr Trump in the White House following his inauguration last year. Since then, however, the president has indicated he does not want to take up the invitation if he is going to face mass demonstrations and it had been expected he could make a low-key working visit rather than a trip which involved all the trappings of a state occasion. Many Londoners have made it clear that Donald Trump is not welcome here while he is pursuing such a divisive agenda. It seems he’s finally got that message. This reinforces what a mistake it was for Theresa May to rush and extend an invitation of a state visit in the first place. Nope it’s because nobody wanted you to come. And you got the message. What a load of ********! You finally got the message that you’d be met by millions of us out on the streets protesting. Liberal Democrat Foreign Affairs spokeswoman Jo Swinson said: “News that Trump has thrown his toys out of the pram and cancelled his trip to the UK will be welcomed by all of us who reject his abhorrent views. “But it’s a disappointing sign of how weak May’s leadership is that she wasn’t brave enough to call the visit off herself. “The Prime Minister should be ashamed that she was so keen to roll out the red carpet to a man who spreads hate and division at every turn, and goes out of his way to undermine British values.” Labour MP Stephen Doughty said on Twitter that Trump “wanted the red carpet treatment and cheering crowds”, but was instead facing “big protests”. Reason @realDonaldTrump canceled trip to London is that we are not a big fan of his racist, sexist, unthinking behaviour. Big protests if he came to cut ribbon. He wanted the red carpet treatment and cheering crowds – NO! Whatever excuse @realDonaldTrump may have dreamed up for cancelling his visit to the UK, the reality is that had he come, he would have faced massive protests. And racist outbursts like his latest one would have made them even bigger. So the, ahem, ‘Stable Genius’, now snubbing May’s strong & stable Government & making up excuses for doing so (Dubya Bush took decision). 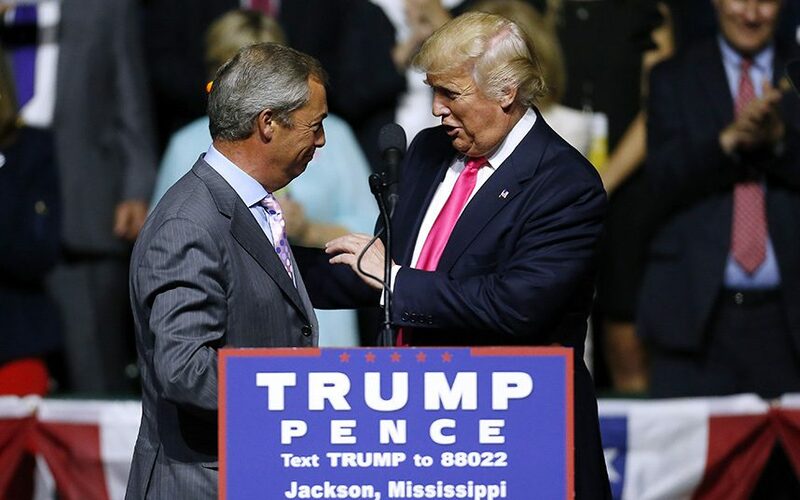 Mrs May and Mr Trump fell out spectacularly in November over his retweeting of anti-Muslim videos posted online by the deputy leader of the far-right Britain First group, Jayda Fransen. 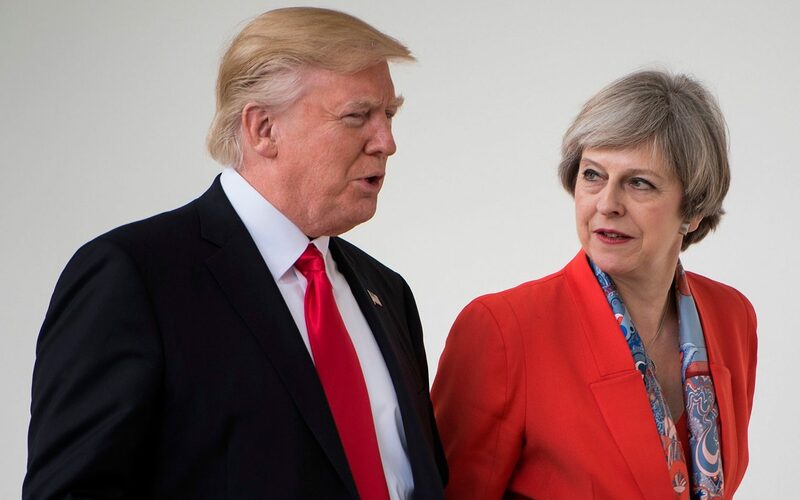 At the time, the PM said Mr Trump was “wrong” to retweet the videos, and the US president hit back at Mrs May on Twitter by telling her to focus on “destructive radical Islamic terrorism” in the UK, rather than on him. Donald Trump has reportedly expressed frustration at the United States’ immigration policy, asking a White House gathering of politicians why the US accepted people from “s——- countries”, reports Harriet Alexander. Mr Trump convened Thursday’s meeting to discuss reforming immigration policy, and one of the politicians inside the Oval Office suggested that a deal could be reached if Mr Trump agreed to restore protection for immigrants from Haiti, El Salvador and African countries. “Why are we having all these people from s——- countries come here?” the president responded, according to two people who spoke to The Washington Post. The paper said he was referring to African countries and Haiti. He then reportedly suggested that the United States should instead bring more people from countries like Norway, whose prime minister he met on Wednesday. The White House did not deny his remark, which triggered widespread outrage, but issued a statement saying Mr Trump supports immigration policies that welcome “those who can contribute to our society.” His remarks reportedly left the assembled politicians “taken aback”, the paper said, with Lindsey Graham, the Republican senator for South Carolina, and Richard Durbin, Democratic senator for Illinois, among those in the room. This entry was posted in Documentation and tagged Donald Trump, Embassy, London, Theresa May PM, USA. Bookmark the permalink.